Butter recipes. 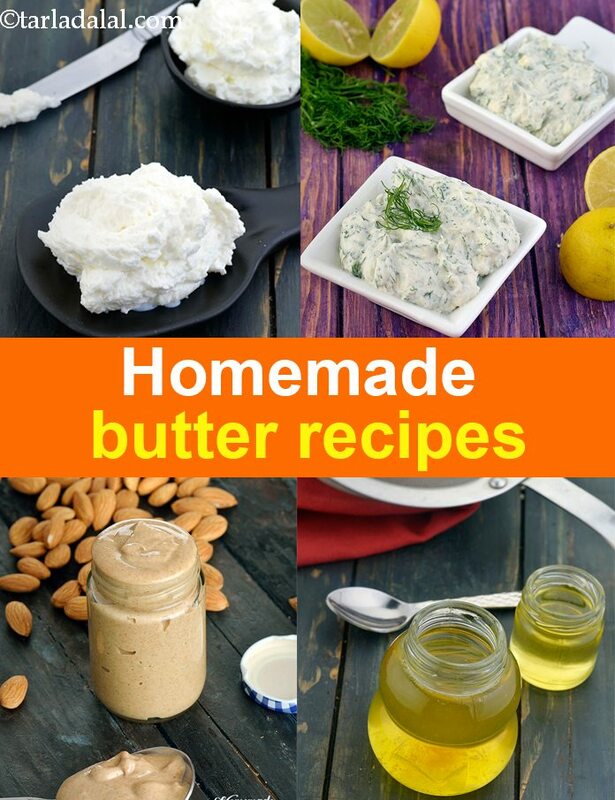 Homemade flavored butter recipes. Butter! One of those side-dishes which makes you salivate just by its name. It is not only used to spread on toasted bread slices but, also as a key ingredient in cooking as a substitute for ghee/oil in many recipes. The salty flavor is just perfect to perk up any meal and give a nice golden glaze on cooking. In fact, you can even enhance the taste of butter by adding fresh or dried herbs and spices to make compound butter. Similar to butter is ghee, which is nothing but clarified butter. Many Indians feel satisfied only with homemade ghee and make it often at home. It is easy to make and can be stored in an airtight container for a long time. For making ghee at home, you will have to learn How To Make Homemade White Butter which is formed by storing malai from full-fat milk for almost 2 weeks. They are easy to make and fun to serve. You can use them to toss crunchy vegetables, apply on a corn cob or use it for making garlic bread/ open toasts. Try using other herbs like parsley, sage, mint or chives too. While savoury butter is popular, sweet butter recipes like peanut butter are equally famous. They are not only loved by kids but, also enjoyed by adults. They might be unhealthy because of the extreme use of sugar. Try this peanut butter recipe without any sugar but, coconut oil making it not only a good source of protein but also a great source of monounsaturated healthy fats. Similarly, you can make other healthy butter variants like Homemade Almond Butter, Homemade Natural Hazelnut Butter or Coconut Butter with Desiccated Coconut. They make a wonderful accompaniment for nutritious loaves of bread and other snacks. Our collection of 15+ butter recipes will surely have something to suit your palate. Do try the unique butter recipes to upgrade your simple meals.